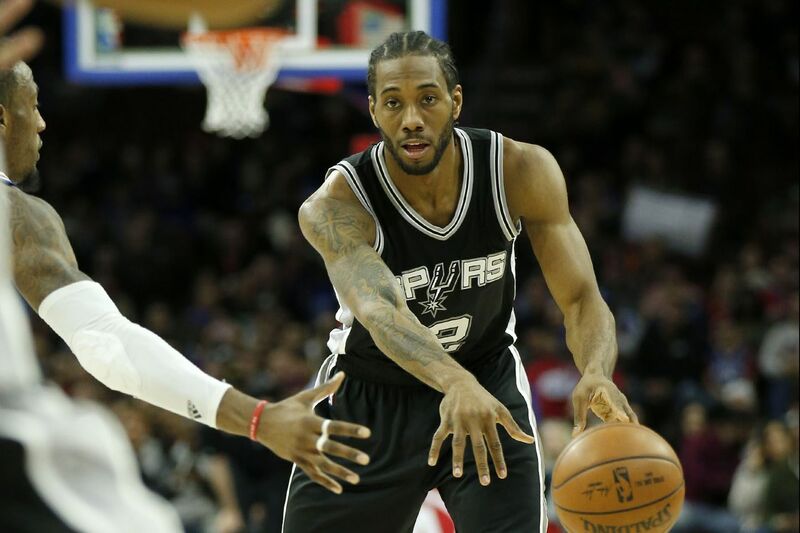 LAS VEGAS – The 76ers are willing to walk away from the Kawhi Leonard sweepstakes. The team is in talks with San Antonio to acquire the two-time all-star via a trade. The Sixers are confident that they can sway him to pick up his player option or re-sign with them via free agency next summer. But the two-time NBA defensive player of the year has expressed a desire to be traded to his hometown Los Angeles Lakers or Los Angeles Clippers. As a result, potential trading partners are not willing to give into the Spurs' steep trade demands if he's not going to re-sign with their team. The Sixers are no different. "If the right situation comes where we can acquire someone that can really add value to our program and the cost of it isn't prohibitive, then we'll move forward and do that," Sixers co-managing partner Josh Harris said. "But if that doesn't come along for whatever reason, then we'll keep moving forward with our program." The Spurs keep trying to raise the ante for Leonard, saying that another team is offering more, according to sources. The Sixers' most realistic package to submit to San Antonio could involve Dario Saric, Robert Covington and the Miami Heat's 2021 unprotected first-round pick. However, the Spurs want two players — again, believed to be Saric and Covington — and three future first-round picks. So the Sixers will have to decide if they want to part with two more first-round picks or see if the Spurs will back off those demands. "I think even just based what we did this offseason, we are going to get better and move closer to our goal," Harris said, "which is that NBA championship that we keep talking [about]. … If we get the right deal, we will do it." The Sixers re-signed JJ Redick to a one-year deal and acquired Wilson Chandler, who has an expiring contract, in a trade with the Denver Nuggets. Minnesota free agent Nemanja Bjelica also agreed to a one-year contract, and Amir Johnson will re-sign for another season.